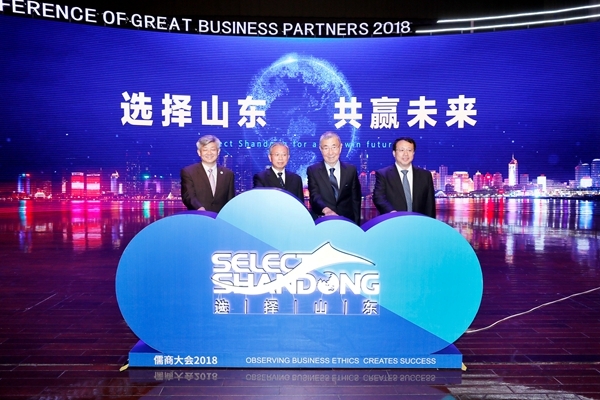 The 2018 Conference of Great Business Partners (CGPB) opened in grand style in Jinan, East China's Shandong province on Sept 29, with the aim of promoting the province's conversion of new and old growth drivers and its development. A total of 1,183 guests from home and abroad, as well as some 2,000 experts, scholars and entrepreneurs attended the conference. 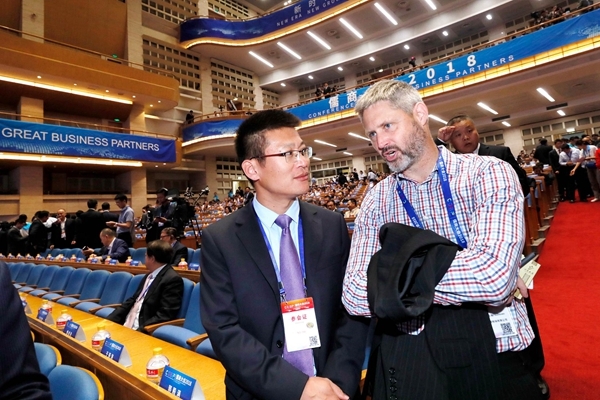 Fan Youshan, vice-chairman of the All-China Federation of Industry and Commerce, said that the CGPB can bring together Shandong entrepreneurs from all over the world and those who aspire to develop their business in Shandong to provide new kinetic energy for the area's development. The business environment of Shandong has changed dramatically, according to Wang Wenyin, chairman of Amer International Group, a Fortune 500 new metallic and non-metallic company. He believes that Shandong can achieve significant economic progress if seizing the opportunity of the conversion of old and new kinetic energy. 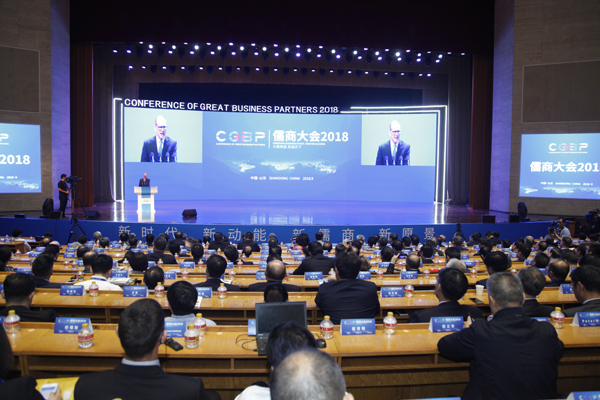 The CGPB also further promotes the concept of Confucianism, of which some of its philosophy and thoughts reflect the conference's prescribed way of doing business. Kung Chui-chang from Taiwan, president of Chinese Association of Confucius and descendant of Confucius, said that Confucianism is a theory not only for governing a country, but also for doing business. The Confucius beliefs of being honest and ready to help others are of great importance for business operation, he said. 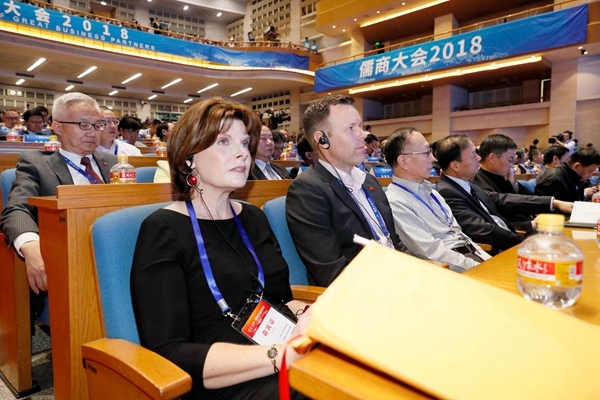 William Zarit, chairman of the American Chamber of Commerce in China, expressed his opinion that Confucius' thoughts of harmony and the promotion of mutual benefits for everyone describes an ideal economy. The CGPB, with 12 forums and activities, is set to take place over the course of three days.